This may be the best content marketing integration I’ve experienced. And that’s an increasingly important topic, as content marketers fret about how to get eyeballs and ear holes to their creations. Should they use social? Search? Ads? Influencers? All have their merit. 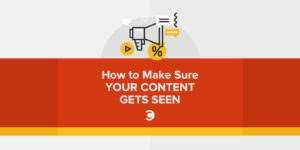 But the very BEST way to make sure your content gets seen is to integrate it into your operations, and that is precisely the genius of Gulf Wild. I was recently in Galveston, Texas for the first time and dined at the BLVD Seafood restaurant, right on the shore of the Gulf of Mexico. I ordered grouper, as it’s one of my very favorite entrees. To my surprise, when Mr. Grouper arrived at my spot at the bar, he had a little notice sticking out of him, like the world’s smallest Realtor sign. I pulled out the sign, and upon closer inspection realized it contained a unique tracking code and a URL to learn more about the life and times of this Grouper. 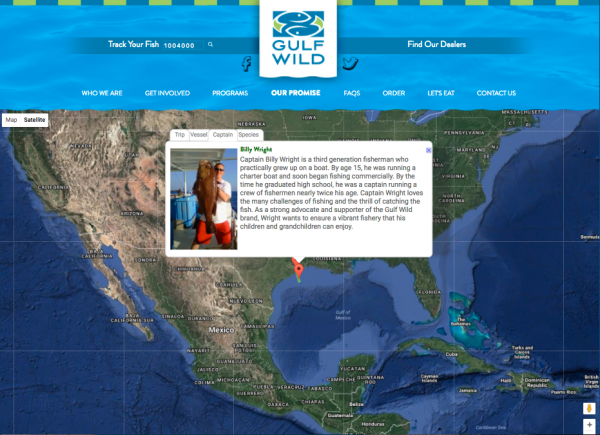 Intrigued, I grabbed my phone and headed to MyGulfWild.com, where I entered my code, and Presto! All sorts of fascinating details were served up. For example, I learned precisely where the fish was caught, by what method, and using what bait. I also learned the history of the Chelsea Ann, the fishing vessel that captured Mr. Grouper. The Chelsea Ann is 51 feet long, was built in 1978, houses four fishermen and the captain, and goes out on five to seven day trips to harvest 8,000 to 12,000 pounds of fish per journey. Speaking of the Captain, his name is Billy Wright. He is a third generation fisherman, who was running his own charter boat by the age of 15. I presume he knows a LOT about fishing, and probably has some amazing stories. He should have a podcast! I also learned why my grouper tasted a little different than grouper I’ve had before, mostly in Florida. Turns out, my dinner was a “scamp” also know as a brown grouper, a slightly different type. And, in the category of “the more you know,” young scamp undergo a gender transformation from female to male as they age, which is a fact that cries out for additional explanation. And of course, I learned that Gulf Wild is a content marketing and differentiation initiative of a non-profit organization of accountable, progressive and conservation-minded fishermen called The Gulf of Mexico Reef Shareholders’ Alliance. 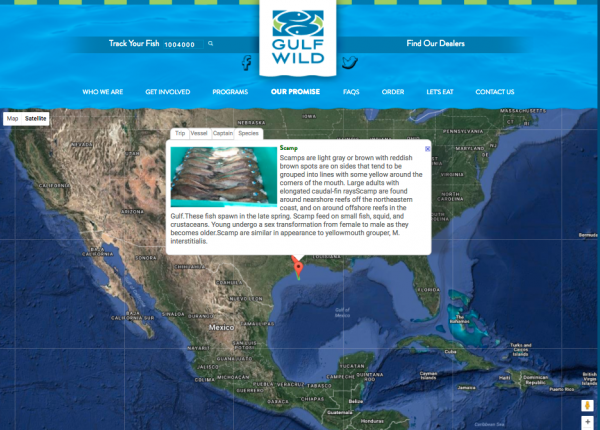 Their goal is to promote seafood sustainability and fishery conservation throughout the Gulf of Mexico. They do this through Gulf Wild branding on fish sold in stores all around the gulf, from Florida to Texas. 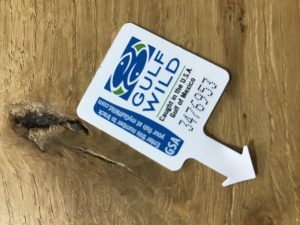 And they do this through participating restaurants including the MyGulfWild information sign in their dishes, to encourage patrons to learn more about keeping the gulf fishery healthy and sustainable. This particular initiative is called Transparansea, and it’s a terrific example of integrated content marketing that resonates. 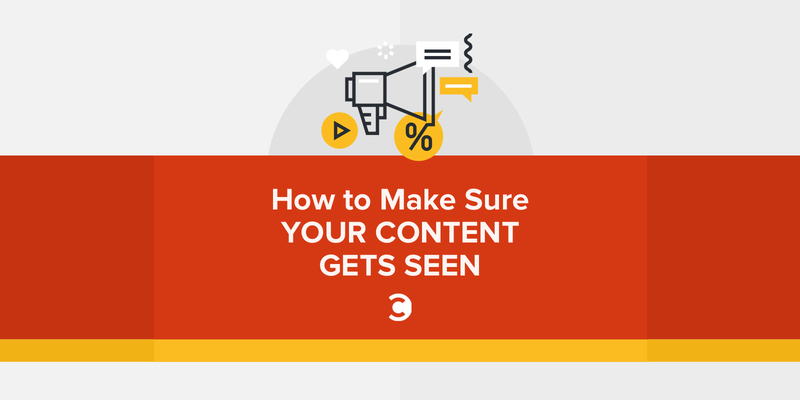 The BEST way to get your content seen? Put it right in front of your customers. And with so little time and attention being paid to content marketing for customer retention, this kind of program could have a big impact.